Known as a "phase-change material," PEG is a solid that melts at a temperature of 80 F, storing energy in the process. The melting temperature can be adjusted by using different types of PEGs. "During a sunny day, the material will absorb heat before it reaches the indoor space, and the indoors will be cooler than outside," Montanari explains. "And at night, the reverse occurs—the PEG becomes solid and releases heat indoors so that you can maintain a constant temperature in the house." 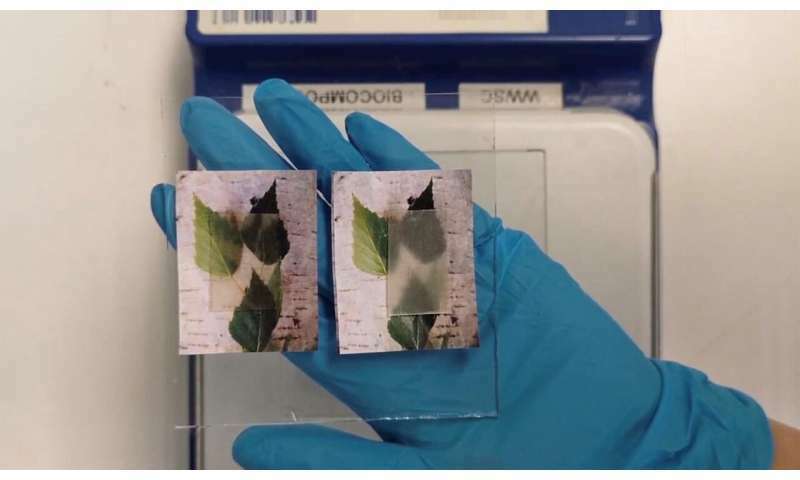 More information: Multifunctional transparent wood for thermal energy storage applications, the American Chemical Society (ACS) Spring 2019 National Meeting & Exposition. You mean, cellulose reinforced plastic? This article is a great example of greenwashing PR. "alternative to plastic" that consists mostly of plastic, and chemicals that most living organisms find toxic.